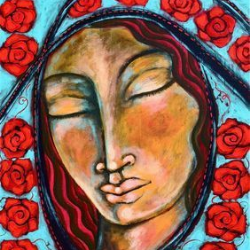 Don't miss renowned artist Shiloh Sophia at Unity Spiritual Center of San Francisco. She will be guest speaking at our Sunday Service and leading a workshop entitled The Gospel According to Her. There will also be an art show closing and reception. The workshop is an opportunity to dive deeper into the teachings of Jesus as they relate directly to the women in his life, the life of women in the church, temple, society and by the byways, highways and watering holes of life.